The latest in Compile Heart's chest adventures. 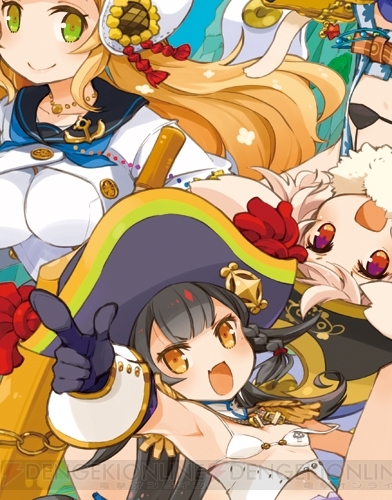 The latest entry in Compile Heart’s Genkai Tokki series, which includes games like Monster Monpiece and Moero Chronicle, is Genkai Tokki: Seven Pirates for PS Vita, Dengeki Online has revealed. 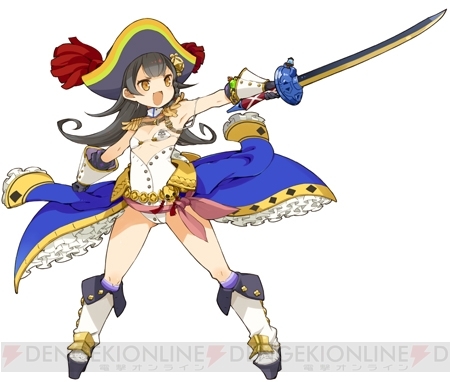 Genkai Tokki: Seven Pirates is a pirate RPG that puts the spotlight on its female characters’ chests and depicts a story of an adventure seeking seven treasures. The protagonist is a girl named Parute and character design is being handled by Motor. This week’s issue of Dengeki PlayStation has more information, but those details have yet to leak. Outside of that, we’ll get more information during Compile Heart’s stage event at the Dengeki Game Festival. A teaser website for Genkai Tokki: Seven Pirates was launched earlier today.